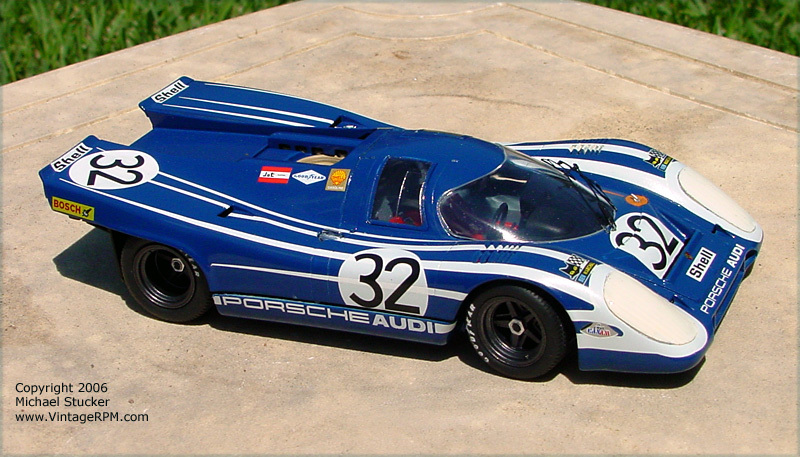 This kit was built as one of the Porsche Salzburg cars that raced at Watkins Glen in 1970. 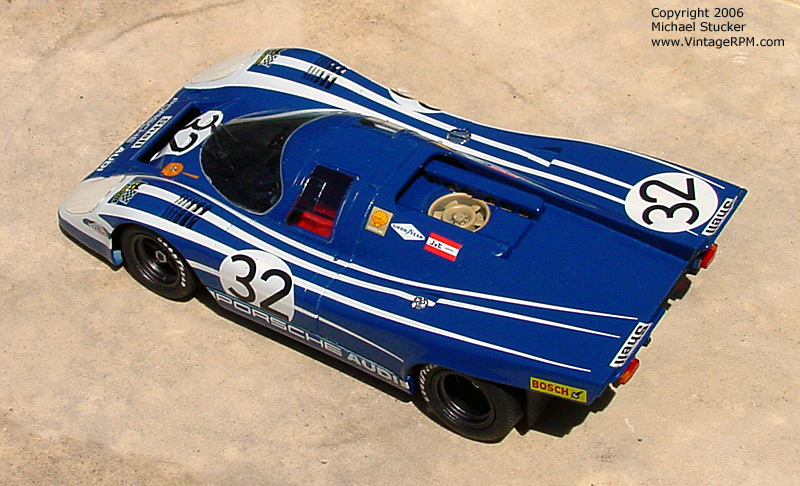 In addition, it is built not as it appeared during the 6-hour endurance race but rather the Can-Am race the next day. 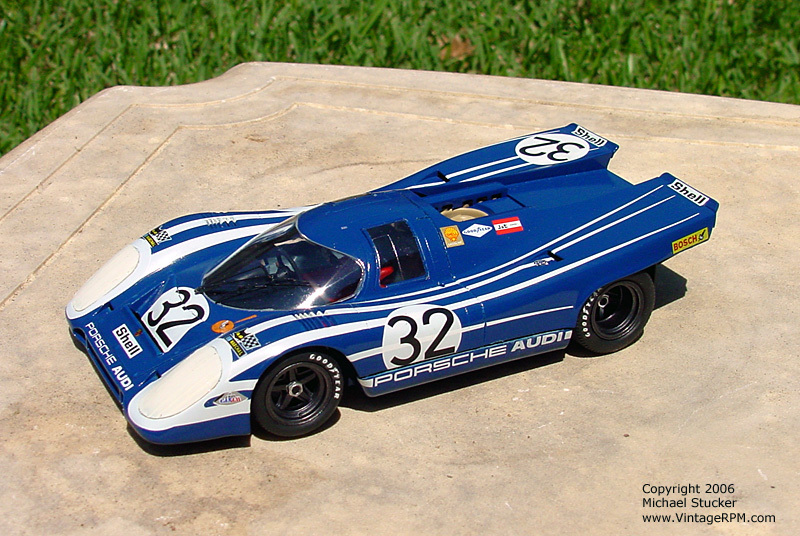 The main difference being the addition of “mud flaps” behind the rear wheels to bring the car in line with the Can-Am’s rules on full bodywork. 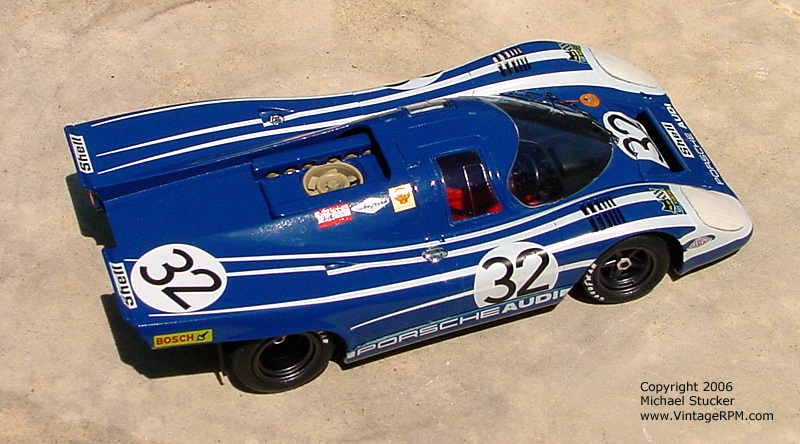 The driver was Vic Elford.